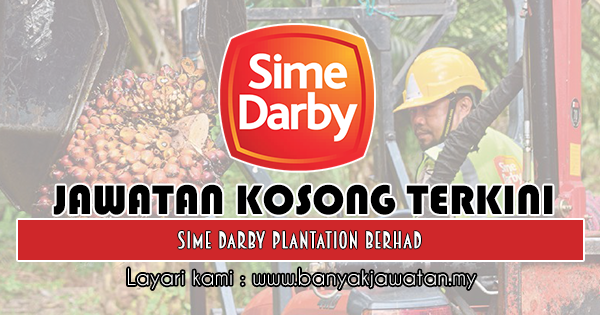 Sime Darby Plantation (SDP), the plantation and agri-business arm of the Sime Darby Group, is the world’s largest producer of certified sustainable palm oil (CSPO). It is also the co-founding member of the Roundtable on Sustainable Palm Oil (RSPO). The company is fully integrated throughout the palm oil value chain with Upstream operations in Malaysia, Indonesia, Papua New Guinea, the Solomon Islands and Liberia, comprising mostly oil palm cultivation, harvesting and milling. Its downstream operations are present in 17 countries, comprising the manufacturing as well as sales and marketing of oils and fats products, oleochemicals, palm oil-based biodiesel and other derivatives. 0 Response to "Jawatan Kosong di Sime Darby Plantation Berhad - 6 Mac 2019"